Moses Kuria has been trending on social media throughout last night after he walked out of an interview on Citizen TV. 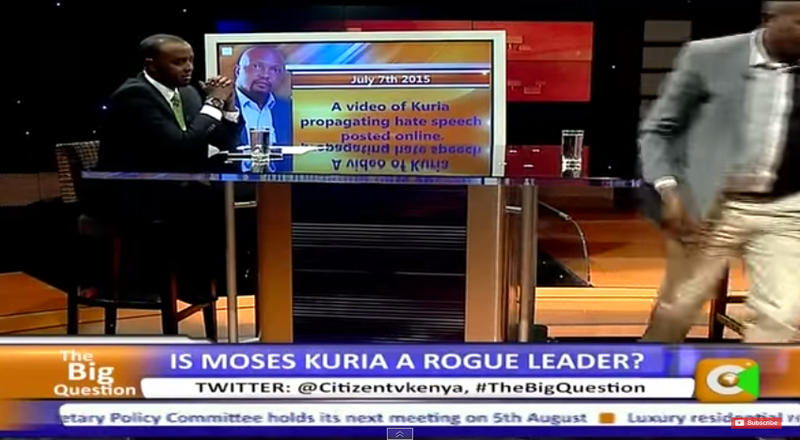 Kuria was hosted by Hussein Mohammed on Citizen TV’s The Big Question interview, the Gatundu South MP could no longer handle the heat and decided to walk out in the middle of the show. He was being asked questions regarding his alleged hate speed that he made regarding the NYS project in Kibera. He was arguing that the clip was edited by the media and they missed the big picture.